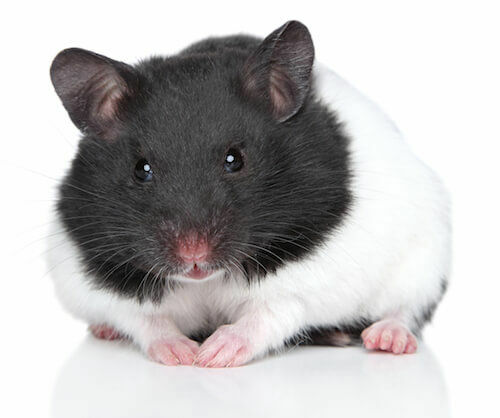 Like all animals, hamsters have the ability to communicate with one another and with you the pet owner. Hamsters communicate for various reasons including: saying hello, telling another to back off or even for finding a boyfriend or girlfriend to mate with. Since they don’t speak words, they have to rely mainly on non verbal ques to communicate with one another or with you. These non verbal ques include: sending off chemical messages through their scent glands and displaying different types of body language to non verbally show how they are feeling. Their sense of smell is very impressive. By smelling each others scent glands, they can find out if the other is a male or female, if they are related and possibly even know the exact individual they are smelling. Mother hamsters can smell their own babies and often know if there is a baby in her litter that doesn’t belong to her. Additionally, their scent glands are used to mark territory and attract a mate when the time is right. These behaviors are aided by visual ques in the way of body language. Hamsters use body language much like we do. They can display a range of emotions that include being: happy, afraid, threatened, curious, startled, angry and many other emotions. They even use sign language to a small extent when conversing with others. With all that said, that doesn’t mean they won’t use an auditory form of communication too. Babies use ultra sonic sounds to call for their mothers, females have mating calls to attract a mate and a hamster can squeak when it feel threatened or is being aggressive. Many of these sounds are brief and unrecognizable to the human ear. When you learn what all these behaviors mean, you will then be able to better care for your hamster. If you notice your little pet is upset, mad or sick, you can changes they way you care for it by improving its situation. Often times, you might just need to build more trust with your pet in order for it not to act aggressive or get frightened when you put your hands in the cage. The follow is a list of behaviors and what they mean. Burrowing in bedding: This means a hamster is happy and just digging around playing or searching for a possible snack it may have buried earlier. Watching you with its ears erect: A hamster behavior like this means it is just a bit curious about what is going on and in a calm way. One that is grooming: They are seeking reassurance and are feeling rather content with everything that is going on. Stretching their limbs: They are feeling good and relaxed about their current situation. Ears forward with cheek pouches puffed up and mouth open: It’s frightened. Try to remove the stressors that are causing this behavior. When it empties its cheek pouches quickly: This is a hamster that is insecure about the current situation and is likely to flee and hide. Standing on hind legs with their dukes up: A hamster with this body language is telling you it feels threatened and might get aggressive if you don’t back off. 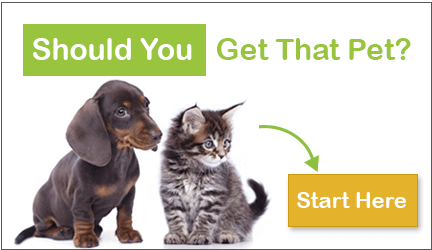 It gets startled when you approach: This is another sign that your pet is feeling insecure and unsure of what is going on at the moment. Ears laid back with narrowed eyes: This is a sign of a suspicion and they thinks something is up. Lying on its back with incisors showing: Yet one more sign of a frightened and threatened hamster that doesn’t want to be messed with. It creeps slowly along the sides of it’s cage: It’s unsure of its surroundings or it’s trying to find its bearings on where they are at. It freezes in place: When they are afraid they might playing dead by lying down and freezing in place. When they chatter their teeth: This behavior means they are fearful and ready for aggression. It’s a warning sign to stay away. When it squeaks: This can mean it’s doing a mating call, feels uncomfortable, is mad or even frightened. It can also mean nothing at all. They are unresponsive when you approach: This is often a sign that your has an illness or an injury. When they are lazy or lethargic: Another sign that they might be sick or under the weather. Biting or nipping you or another hamster: This is a sure sign of a hamster that is frightened and defensive. It show you have not built up enough trust with it yet. Two hamsters fighting: One or both hamsters are trying to display their dominance or defend their territory. Separate them if the don’t stop fighting. When it repeats a behavior over and over again: If this happens, this is an indicator that it’s not well mentally. This mental disorder is caused by a monotonous life in an inadequately sized hamster cage. Hello! I am a new hampster owner. I think mine is a long haired russian. She bites her cage alot and whenever i try to oet her she flinches and rolls onto her back. She doesnt have a large cage but i cant get her a bigger one. How can i make her more comfortable around me and how can i alleviate any stress that she has? Hello! I had had my Syrian for a month now, all was great until she escaped one night, we found her and returned her safely to her cage. However now she is constantly biting her cage and trying to get out. She has a three story cage connected to another smaller cage, two wheels, lots of chews, honey sticks and we regularly give her treats. I don’t know why she all of a sudden hates her cage. We let her run in her ball as often as possible, sometimes that’s up to 2+ hrs a day (with breaks every 20mins in her cage for water) and let her run around without the ball and play with her every night as well. Any tips to make her hate her cage less!? Like people maybe she wants a new home (cage)….. When a hamster bites at her cage (bars) it could be a sign of boredom although by the way you have described her cage that shouldn’t happen. Hi my hamster keeps digging near the nest where she has her babies [Gave birth 4 days ago] should I be concerned? Hello, I just got a short-haired Syrian hamster yesterday. When we went to get him, the worker let us hold all of the hamsters, so we could chose the friendliest one. We currently are housing him in a 20 gallon long tank with a wheel, food, water bottle, hideouts, etc. He hasn’t been using his wheel, which worries me. The pet store had them using flying saucers. Also, we started holding him after a few hours of bringing him home, even though we should have waited. When we put out hand in, he just sniffed us and really didn’t mind. We picked him up and held him and he didn’t seem nervous. Do you think he’s already hand-tamed? Also, how should I get him to use his wheel? You’re hamster is probally already hand-tamed due to the staff and protentional owners handling him at the pet store. As for the wheel, if he hasn’t already started using it, then perhaps it’s just not his kind of thing? Not all hamster enjoy them…. Most do but not all… Just let him decide on to use it or not. Ive hada female Siberian hamster for about a year now, really cute and I love her a lot, but she is biting on the bars of her cage often, every 5-10 minutes for about 10-15. She has plenty of chew toys, hiding spots, clean bedding, and tons of room, (A four layer metal cage with a non grated bottom) and two different hamster wheels (a traditional one and a tilted circular one). I try to handle her daily. I’ve tried deterring her (blowing on her face while saying ‘no’, giving her a gentle Boop on the nose(hardly touching, but enough to get her attention) and saying stop, even flicking a bit of water at her doesn’t help) but that doesn’t seem to do anything. Even putting vinegar on the cage bars isn’t helping at all. I’m loosing alot of sleep because she is so loud, and I just don’t know what to do with her. Please help! I have a long haired male syrian. he’s in a 40 gallon breeder, w one of those expensive silent runner wheels, a sand bath, chews, hides, etc. I’ve had him for a month and a half & he’s been great. he’s a super loving ham. but starting yesterday he’s randomly been sitting behind his wheel and staring at the wall for hours. when I take him out he’s ok and running around, and he was running around on his wheel last night; we woke up n he was sitting next to his wheel staring at nothing. it’s just so out of the blue and it’s never happened with any of my hamsters before. he’s also still eating and drinking which is good but I’m just so confused. I just got a female short-haired Syrian hamster. I’m a new hamster owner and have had her for about a day or so and she seems fine… she’s running on her wheel in the evening/night, she’s eating, she’s drinking water, she’s grooming and nesting. I am however worried that her cage isn’t big enough for her. It’s a 24x18x12 terrarium with a mesh lid so lots of ventaliation. She’s got an 8” comfort wheel, a hideout, a tunnel, a bridge, some toilet paper for extra bedding and a couple chews (some wood and a whimzeey chew) that she seems to like. I’m unsure how to tell if she’s happy though. I’m using clean and cozy bedding and I was thinking of litter training her but there’s isn’t much room left for a tray. What do I do? I haven’t attempted much taking yet because she’s only been here a day or so but I’m anxious to know if I’m doing things right. That’s perfect! I’ve also done lots of research as I am also a new hamster owner. If you would like to put in a litter tray, try moving around the toys until you have space. I also recommend giving her pumpkin seeds and sunflower seeds every other day to let her get used to you. I have a winter white hamster that would have turned 1 year in November or December I believe. I kept her in a 45 gal tank with weekly bedding changes, although recently with school restarting I am ashamed to say I have been slacking so the last one was about 10 days ago. I came home today and realized Lapis(hamster) had not come out last night or this morning to run. I was curious, so I started searching around in the bedding for her(about 4-5 inches depending on where in the cage she was). I found her curled up into a fetal position, cold. I had recently moved rooms, so mabye that was a stress factor for her, and along with the uneven bedding changes that could be part of it? I am really sad and don’t know why she died, and would like to find the cause so I can prevent it from happening again. •she had been jumping at the glass a lot recently, and climbing on her toys to try to get out?? possible mental problem mabye?? Any insight or help to what may have gone wrong?? Thanks!!! Hamsters usually only live for about 1-2 years. You probably did everything right, and it just could’ve been her time. I have a winter white hamster and it is the sweetest little thing I got him in August and we named him gizmo when I let the cat in the bedroom she doesn’t try to hurt him she sits near his cage and stays by his side if someone walks in she wakes up and walks towards them but back to the hamster he is so sweet and I am hoping he stays that way forever I have a question what things can you feed your winter white hamsters besides hamster food I have been wondering but never gave him anything besides his normal food he loves his food it has seeds corn and some other stuff but give me more things to look forward to that I can give him. I have a syrian hamster about 9months old, recently she likes to bite her cage and run around like a mad hamster. I would bring her out for a while and she always find a way to escape and run away. After letting her run around for abt 5mins I’ll put her into the cage. She would bite the bars for a few seconds and after that found a nice spot to rest and sleep. It keep happening over and over whenever I approach her cage to check on her. Can someone give me advice if my hamster is bored or anything? It bothers me alot and wondering if she is happy anot. We have a female winter white. She is about 7-9 month old and we have had her about 4 months. Up until about a week ago was very lovable, would love to be petted and would snuggle up and fall asleep in your arms. Now she attacks us. She acts like she wants attention then bam-she snaps. She has always bitten the cage when she wanted out and but rarely nipped-if she did it was very soft. Now she draws blood. Nothing has changed with her surroundings etc. She doesn’t appear injured. She runs around and when we have been able to hold her we don’t feel any bumps or issues. She appears to be urinating and pooping and is eating. We cannot figure out what the issue is. Today we moved her cage into her playpen which is a very large box. I read it could be an issue with her cage so I thought I would try putting her in a larger environment. Still super aggressive. I would like to know if something is wrong or she is just weird. I got this Syrian hamster about a month ago was very shy to start with then started coming out it’s shell and then me and my boyfriend went away. And Rhurbarb was fine when we seen her but today we got her out and put her in her ball that she normally goes in and loves but she didn’t move at all and it took ten minutes for her to get out of the ball and into her cage whereas normally it takes her a matter of seconds, I’m really worried about her it’s like she’s got no energy and is walking really slow like her back legs are going we don’t know how old she is as I got her from the pet store, and what she’s doing now is just laid on the bottom of her cage in a corner with all the sawdust around her, I’ve read a few things online and I’ve had a Syrian hamster before but not one like this, can someone please give me their opinion I’m really worried. I just got my hamster a new cage and put a pet safe mesh around it. My Syrian keeps shoving her nose in the gaps and sniffing. It’s a new cage so is that normal? It’s recomended that the hamster has 24-48 hours of uninterrupted time to adjust to his/her new surroundings. Human interaction is then the following few days where the hamster will learn your sent and your intentions. Often times you should start out with a treat in your hand and allow him/her to crawl into your hand associating you with food. If your lil guy escaped before you could do this process and allow him to trust you, he may feel frighten and unsure of you. Especially after the stress of being lose in a new home for that long. Give him some time to get adjusted to his new cage and allow him to get used to your sent. Offer him his favorite treats and soon enough he will be crawling all over you! I got this Young Syrian hamster three days ago and I try to pick her up and she rolls onto her back but other than that she is friendly. what’s going on? I know she might be frightened because this is her new home but just wondering. I brought two syrian hamsters yesterday..one seems perfectly all right but the other one is showing some behaviour which is though to understand.he is running arround the cage rapidly without a stop.. sometimes running backward, and it is not going on the other floors of the cage..
Its getting tough to understand the situation..making me feel that he is not comfortable or in some problem …plz suggest me smthing and help me out.. Sounds like he might have neurological problem sometimes called flipping. I know it’s common in pet shop dwarfs, it may not be that but just check it up. From what I’ve read on the illness it sounds a bit like ADHD or OCD in humans, they compulsively run and flip etc. Side note, you aren’t keeping them together are you? Please don’t, they really are solitary animals and they may seem fine at the moment but it’s probably causing stress etc and one day may reach boiling point causing them to fight resulting in death or injury. Please don’t keep Syrians together! It may be a cause of this problem. Never leave your hamster unattended outside of their cage. You’re hamster should only be in a ball for at the most 15 minutes. There can be severe health consequences otherwise. My robo hamster did a razor-like squeak, what does that mean? My syrian hamster is walking slow and is a bit scared we had him for a year what does it mean. Hello, your hamsterCould just be really excited or she might feel stressed and scared. I don’t really know that much, but it sound to me that perhaps you should seek further help online and then if you don’t find any answers, talk to your vet. My hamster did that same thing when I first got him, it just means they are a little nervous with the space but its normal when you’ve only had them for a short while, its kind of the same when a hamster runs on their wheel none stop, they just need to adjust. You could tell me how long you’ve had her because it depends. You don’t need to help her you just have to make sure she calms down after awhile and try to gain its trust. I have a winter white hamster. She is almost 2 years old. I know they don’t live long. Recently, I’ve been noticing she had blood on her fur near her bottom. She seems to have lost alot of hair near her bottom too. I’m worried she has been licking her self raw. I see little patches of blood in her crate & get so worried. She is eating & drinking water. Her stool is normal too. I’m worried she could be stressed but I’m unsure why. Could this just be something due to old age? It could be a deadly hamster condition called wet tail, its a disease that hamsters get and most if them die from it, i really think you should take her to the vet and see what’s wrong.